Now that you’ve set up your blog and have increased your readership, you can finally start to focus on making money with your blog. Please keep in mind that this part is not easy and it will certainly not happen overnight. 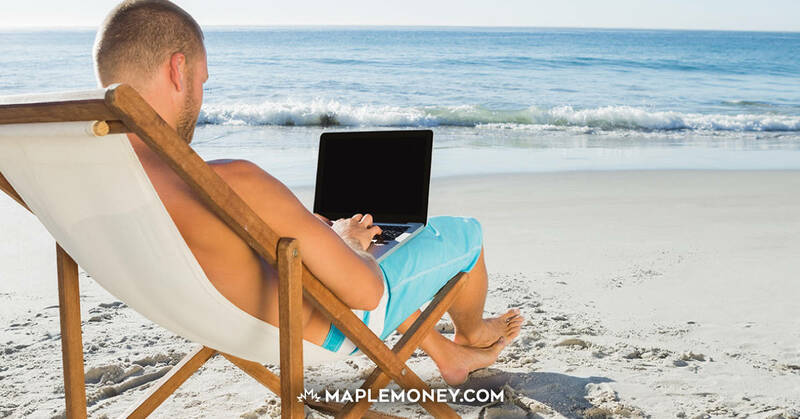 Making pocket change is possible in a few weeks, a part time job is possible in at least 6 months, but making a full-time income with your blog could take a year or more. Hey, patience is a virtue, right? Perhaps the most popular of all advertising is the standard pay-per-click ad from companies like Google. Adsense is by far the best, because it is incredibly easy to set up on your site. “Set it, and forget it!”, as it’s been said. It really is that easy. Put some ads on your site, and start collecting money. That’s it. Remember not to overload your site with ads, though. People don’t like that. Also, make sure to play around with the placement of your ads and keep a close eye on your statistics to see where the best spot is to put Adsense ads on your blog. If you’d like to have better control of what kind of things are displayed on your site, you can offer private ads, one-on-one, with advertisers. You can decide on the size of the ad and how much you will charge the advertiser per month. Collect payment, post the ad, and that’s it. You’re done. Be sure to follow up before month’s end to see if you’re advertiser would like to renew. It’s also a good idea to offer a discount for advertisers that purchase an ad spot for 3 months at a time or more. 10% or 15% off the total price is pretty standard. Perhaps my favourite form of making money online, affiliate advertising is another easy way to make money blogging. Simply promote products and services that you think your readers will enjoy, and get paid a commission for referring them. If you have a make-up blog, you can promote your favourite make-up brands, make-up brushes and beauty services, if they have affiliate programs. If you blog about something specific, such as make-up or gluten-free baking, for example, you can write an eBook. Yes, even if you’re not a writer. One thing that people consistently buy over and over again is information. They will buy information over a product any day. At least, that’s what I’ve noticed with my business. So – give them an information product to purchase and they will buy it! Of course, not everyone will buy your eBooks, but many will. Especially if your book is unique and offers something completely different than what is currently out there. Don’t bother writing an eBook with tips for the perfect smokey eye. It’s been done. Don’t bother writing an eBook about going gluten-free on a budget. It’s also been done. Instead, come up with something very creative – something you know your readers will love – and start writing! For more tips on creating an eBook, I highly recommend this resource (I used it and it helped me). If you’re okay with a bit of sponsored content on your blog (when a company/sponsor pays you to write about them), then this is another easy way to make money with your blog. The number one thing you want to remember about sponsored posts is that they are genuine and something your readers will find valuable. For example, if you wrote a blog about sewing, you wouldn’t write a sponsored post about motorcycles. However, if a company that makes fantastic sewing machines wanted you to write a sponsored post about their machines, this would be a much better fit for your blog. As for how much to charge for these posts – well, it really depends on how much traffic you receive and can send to your sponsor. Talk with them to decide on an amount, but don’t sell yourself short! Also – always remember to disclose that the blog post is sponsored when you write it. So there you have it. 5 ways to increase your blog income, using 5 different revenue-generating sources. All of which I personally use, and love. Don’t forget – building a blog that generates enough income for you to quit your day job takes a very, very long time (and for some people, it just never happens). Be persistent, though, and you can do great things!